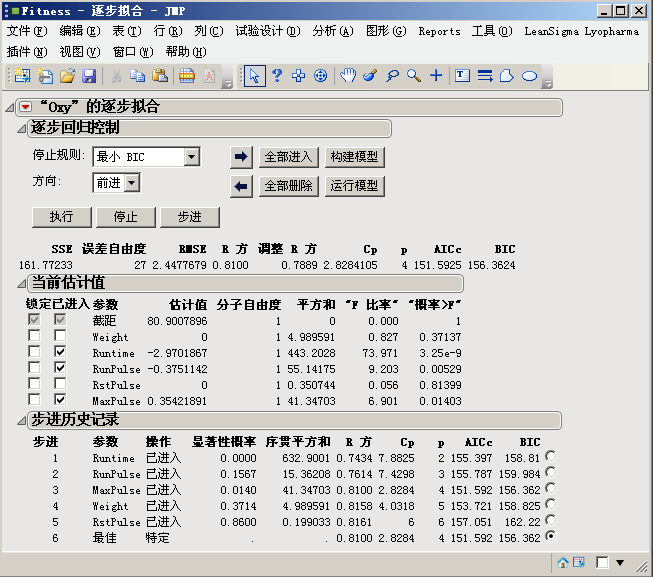 Here i perform a Stepwise regression analysis and run my new model,then close the Fit Model dialog window. The problem is still a fitness stepwise window is open. See the attached file. How can i add additional code to open this window and just keep the final report window open.